In 1989, prior to the normalization of diplomatic relations between the U.S. and Vietnam, Alison Krupnick was holed up in a seedy Ho Chi Minh City hotel, hiding from people desperate for visas to resettle in the U.S. Fifteen years later, she was holed up alone in her minivan, furiously scribbling stories on a notepad at every red traffic light. 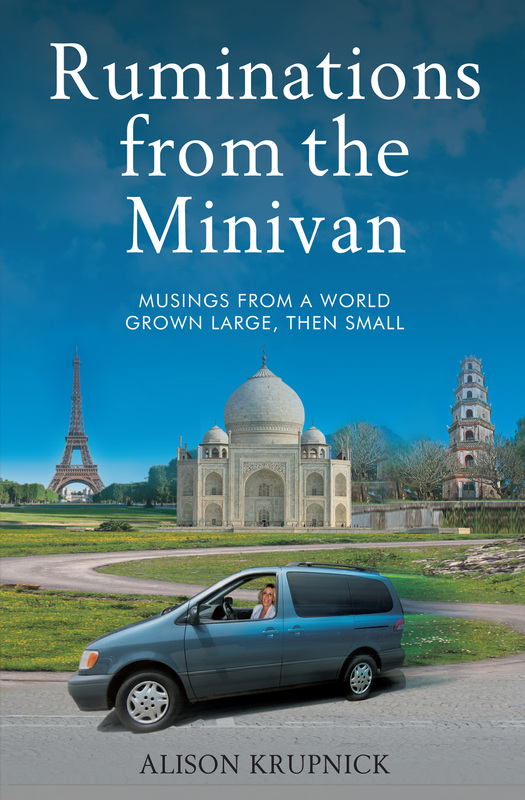 The story of Alison’s transformation from world traveling diplomat to minivan-driving mom is chronicled in Ruminations from the Minivan, musings from a world grown large, then small. A warm and funny story of inspiration and ambition, international intrigue, mothers and daughters, food, family, writing and travel, Ruminations from the Minivan will take you on the trip of a lifetime. Available on Amazon.com and at your local brick-and-mortar book store, by request. Dammit traded the minivan for a big van (Nivannawhite), now a small MINI (definately not a van). I am so outta luck with observations. Honorary member of the club?? Mazel Tov Alison!!! Why is ther no link to get it on Amazon.com? Dang; I added that “e” in therE three times, and I still ended up posting a typo! What the heck? I updated the post to include the link. Thanks for pointing out the omission. That’s what I get for posting something prior to having my morning coffee.